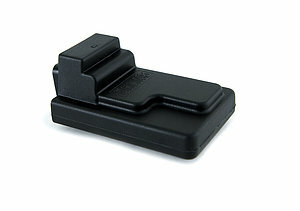 SCU und wire harness are included in the package. Following Öhlins succesful introduction of Mechatronics on OE bikes such as the Ducati 1199 Panigale S and Multistrada 1200 S, the time is here to launch the first aftermarket Mechatronics shock absorber. The first application out is the TTX36 Electronically controlled shock absorber for the Kawasaki ZX 10 R.
Working with sophisticated algorithms and based on the experience and success from World Superbike in 2008, Öhlins R&D put it all to work to reach the best possible performance on track but also comfort when commuting on normal roads to work or on the way home from that perfect track day. 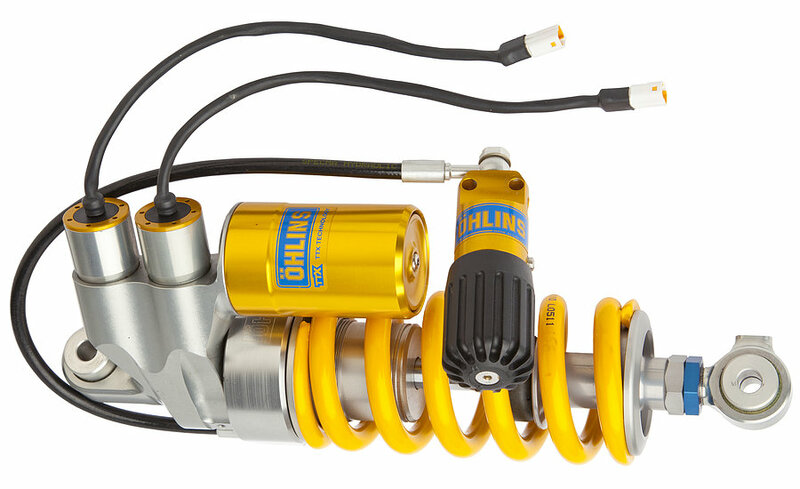 The hardware used is the successful Öhlins TTX36 shock absorber used in racing as well as the ultimate aftermarket upgrade to street bikes. It has been coupled with advanced software continuously monitoring the riding behavior, how the bike responds to that riding style as well as chosen power modes. It uses all this information to make instant changes in click settings as you ride. The result is a shock absorber instantly set-up for your riding style at the moment. If you chose a high power mode and go hard on the throttle or on the brakes the shock will be in the perfect click setting for that style. If you want a sport set-up, ride like a racer and you’ll get it. And when the riding is calmer, for instance when on the road back home, it instantly reacts to that and reacts with a more comfortable setting. Electronically Controlled (EC) rebound damping adjuster.